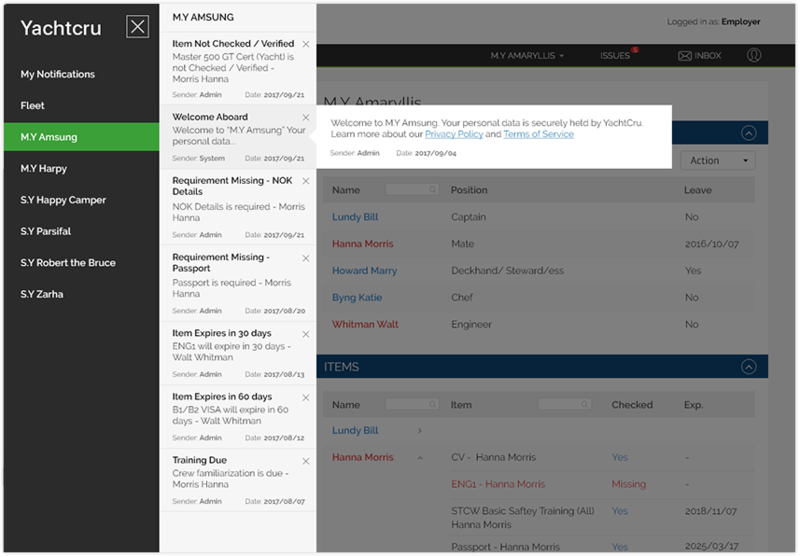 Managing a single yacht or a fleet? 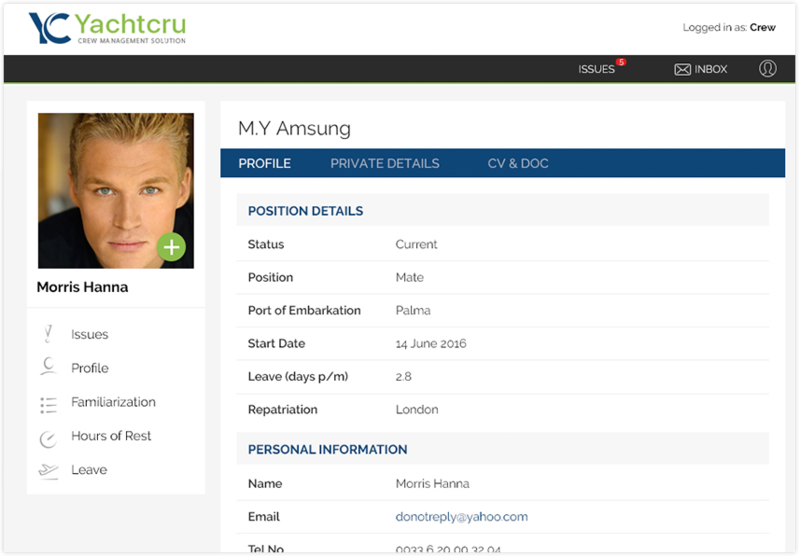 With Yachtcru everything happens with just few clicks – request, approval, alerts and reports. No bureaucracy, no paper, no hours of admin. Receive AlertsYachtcru ensures that no one falls through the cracks. How? By making sure you never miss another certificate renewal, leave request or Safety familiarization. 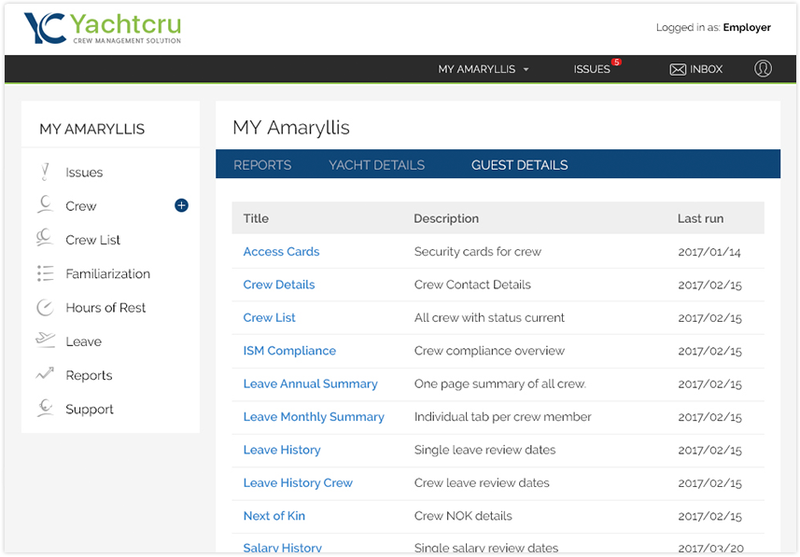 Reduce your admin timeRefreshingly simple and intuitive our online HR software makes managing a large crew or fleet of yachts effortless. Export data into a variety of report types. 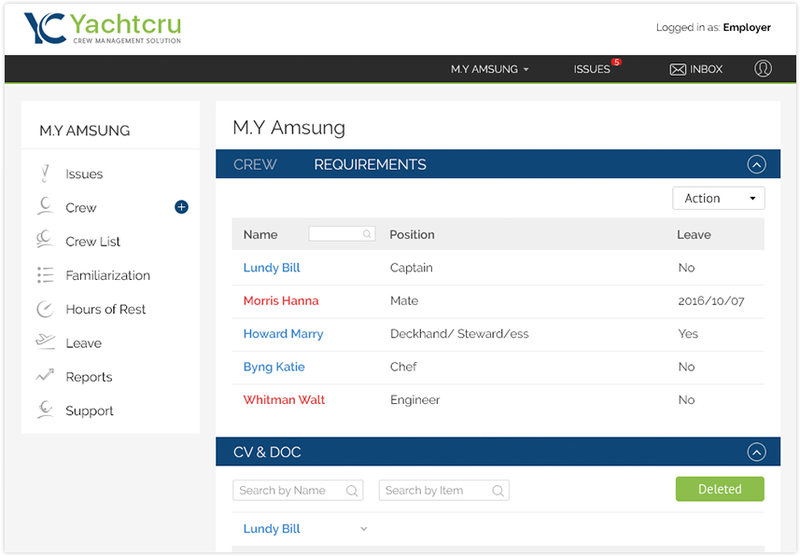 Want to generate a Crew List or see a crew member's salary history we have you covered. 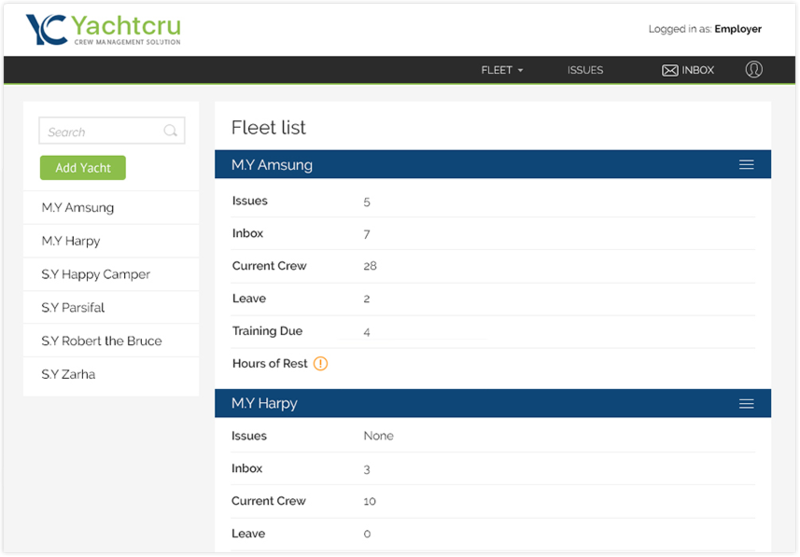 YachtCru was built from the ground up to handle Fleets. We manage the details freeing up time for the important clients. 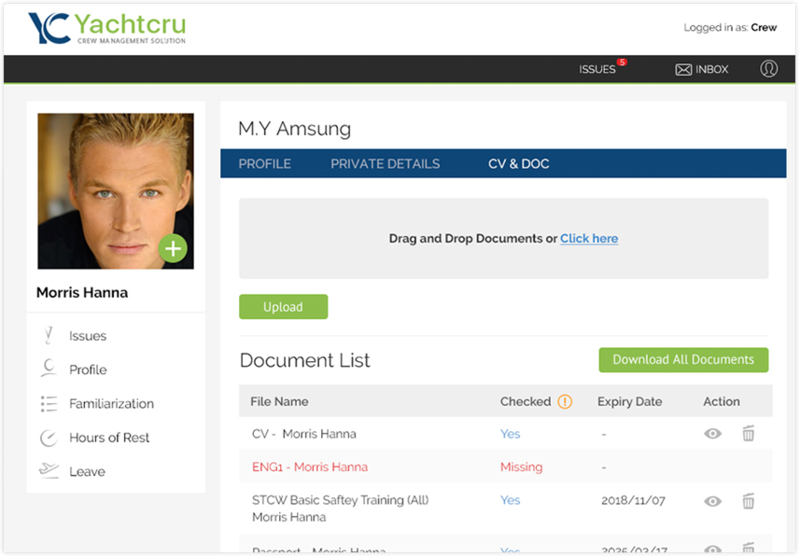 Add a certificate to the requirements list and the system will track missing as well as expired documents. A simple but powerful tool for tracking hours of work. Add details for multiple days or from previously saved templates. Need a helping hand to get set up. We can onboard all your data for you. There’s no substitute for hands-on experience. Try it yourself—free for 30 days or buy it!